Modern vinyl windows will not peel, crack, fade, or warp. They hold up exceptionally well and can withstand both UV rays and moisture damage. These windows will last at least 15 years or more, as long as homeowners do their best to take care of vinyl windows. Why does this construction grade plastic last so long? Manufacturers use specialized ingredients to make these windows stronger than ever. Speaking of maintenance, vinyl windows require very little. You just need to wash these frames every few weeks using mild detergent, water, and a soft cloth. There is no need for anything more expensive. And because you do not have to strip and re-paint vinyl windows they are way more convenient. Vinyl is a versatile material and as a result, you can get vinyl windows in any size, shape, and style. They are perfect for both commercial and residential use. And because the material is so flexible there is less wait time for projects involving vinyl windows. The windows are lightweight and installation goes quickly. You will be enjoying your windows before you know it. Vinyl windows have low thermal conductivity. They do not readily transfer heat, which improves your energy savings on those hot summer days. Your HVAC system will not need to work nearly as hard to keep your home comfortable. So vinyl windows can save you money in more ways than one. Vinyl windows are some of the most affordable options on the market. Installers can get vinyl windows in a little faster than other products which is convenient and saves you money. But the lower prices do not mean these windows are cheap. Vinyl windows give great value to the homeowners and are worth the investment if you are looking to get a return on your investment. Because replacement windows can add to the aesthetic of your home you want your new windows to look good. 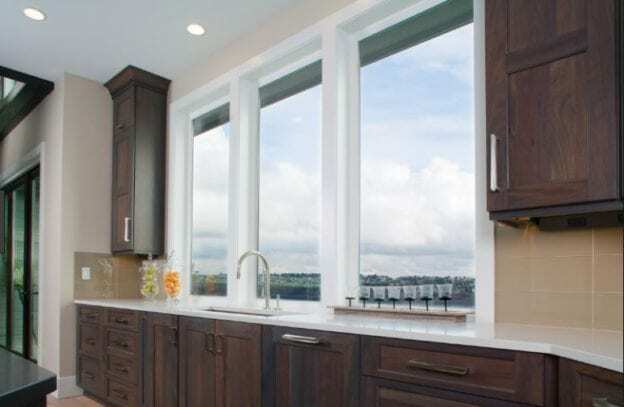 Vinyl windows come in a few neutral colors designed to match the interior design of almost any homeowner You are sure to find the right product to match your style and your budget. If you want to know more about vinyl replacement windows in Scottsdale, AZ contact the experts at Freelite Inc. We understand what customers like and don’t like about buying new windows. We want to make your experience as positive and streamlined as possible. Our team can walk you through the pros and cons of all our products and your satisfaction is guaranteed. If you are ready for a no-hassle quote call (602) 233-1981 or visit us at 331 W. McDowell Rd., Phoenix, AZ 85003. This entry was posted in Freelite Blog on January 28, 2019 by Freelite Blog.